When: 9:00AM - 12:00PM | Mon. - Fri.
*$20 Off Early Bird Registration cannot be used in conjunction with any other offer, event, discount or party. May be used only once per registration. Cannot be substituted and has no cash value. Offer valid from 3/25-5/1/19. 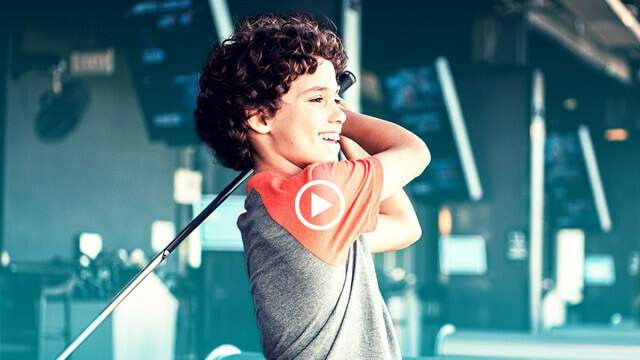 See what other Guests have said about our Topgolf Summer Academies! The instructors were fabulous! Made all of the kids feel welcome, knew their names, and made sure they had a good time. My daughter is now interested in taking private lessons with several of these instructors. Her golf confidence has really improved. Thank you so much! Our son had such a great experience at Topgolf! It was a fun week for him. He had never played golf before, and he's actually really good! Thanks for teaching him some good intro skills. We will do this every summer now. Great job! I'm so happy I came across this summer program for my 11-year-old son. He loved the time he spent at Topgolf, meeting other kids his age that shared the same interest, not to mention he was impressed with the lunch! After completing his week there, he has been motivated to go out and play some golf!